This talented, outgoing DJ joined AMP in July 1998 as a part-time Hitz.FM cruiser while he was still doing his studies in Electrical and Electronics Engineering. He was then offered to become a full-timer after his graduation in Jan 1999. Recognizing the talent of JJ, he was given a chance to try out for a position as a DJ, and after a stint as a weekend DJ, JJ was transferred to the Programming Department in 2001 as a full-time DJ. He was helming the mid-dawn shift running from 2am to 6am, as well as the Sunday All Asia Show (which has now been changed to the Urban Jamz slot). With his relentless effort in polishing up his deejaying skill, in 2003 JJ Fernandez was appointed as the Music Director, a position which he held until August 2004. This was due to another golden opportunity offered to JJ to join the Morning Crew slot. 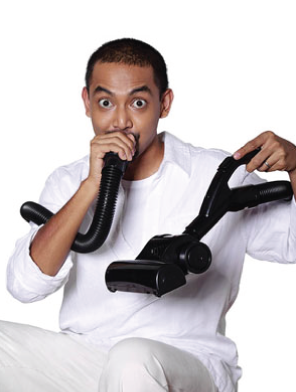 JJ Fernandez made his foray in television in September 2003, exploring the VJ for HITZ TV. JJ hosted the Hot 30 Hitz running Mondays to Fridays, and Hitz Central with the rest of the VJs in the weekends. Thanks to JJ’s lively and captivating deejaying style, his career also progressed into emceeing and hosting. The most recent event being emceed by JJ is the Astro F1 Concert 2005 which was held on the racing track, right after the Formula One race. This man is a legend in deejaying industry, his passion, commitment and talent unsurpassed…he surely is one of a kind!